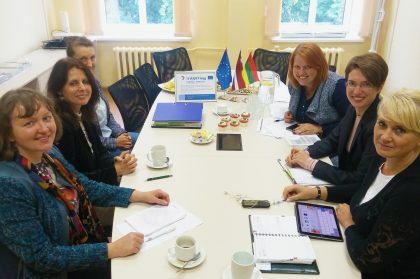 Euroregion “Country of Lakes” Lithuanian Office together with partners from Latvia, Latgale Planning Region, brought together 17 LV-LT municipalities in a joint public sector training project, which overall objective is in line with LatLit Programme priority IV specific objective: to improve efficiency of public services by strengthening capacities of employees and cooperation between institutions. In order to achieve this objective practical conferences, meetings of working groups and experience exchange, thematic training and individual coaching sessions shall be organised for municipal employees and leaders. 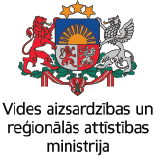 In project preparation an online survey was prepared for LV-LT municipalities. Its data revealed the key problem areas and needs of employees according to what training themes were selected for capacity building. Aiming at efficient changes an innovative LEAN system of provisions, management and governance tools and its attitude and methods were selected for adaptation. 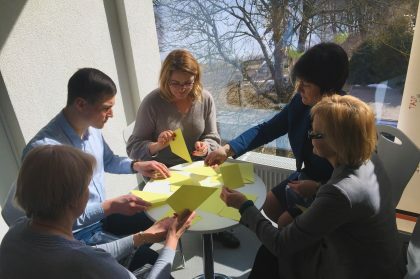 LEAN methodology is completely new for LV municipalities and during this project they seek to get more acquainted and learn from good practices of LEAN implementation, while LT municipalities shall access and implement LEAN system. LEAN promotes elimination of ineffective activities by directing all resources only towards the creation of municipal service value to residents (customer-oriented services), improvement of overall service quality and continuous development. During the project particularly important is strengthening of institutional cooperation at international, regional and local level. Joint training activities shall create a stronger relationship between different institutions and ensure further long-term development and cooperation. Cooperation also allows to save resources and avoid the fluctuation of municipal services quality, because of constantly changing political representatives (municipal leaders). All activities and responsibilities between the partners are set out equally, also taking into account the individual needs of each municipality. By paraphrasing the words of the influential writer, management consultant Peter F. Drucker, we want to emphasize that it is frequent for an organization to concentrate a large part of human, financial and other resources on activities that neither in the process nor in the final result are beneficial to the organization itself or even to the public. The aim of each organization should be to try to maximize their own benefits and benefits to its customers with the least amount of resources. 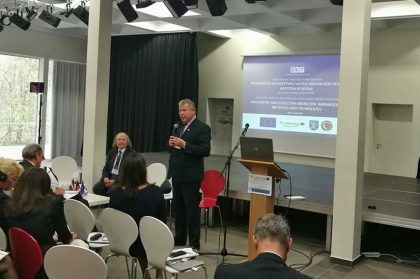 The 1st of May marked the awaited beginning of the 3rd project period, thus a brief summary of the successful 2nd period is presented. Do you feel how the winds of spring bring changes? 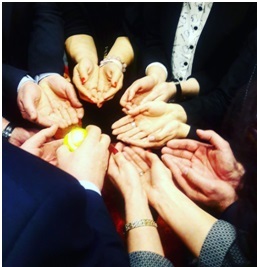 The 30th of October, 2017, marked the end of the first period of project “Open Leadership” (LLI-59) implementation. 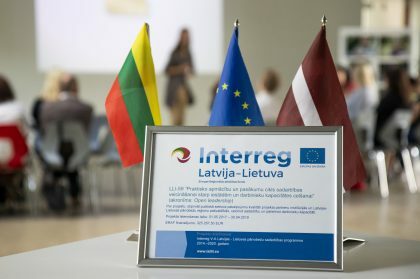 During the 3rd and 4th of October an international conference took place in Anykščiai with more than 150 participants and speakers from both Lithuania and Latvia. Training "Image building of organizations, available tools"
Regional practical conference "Innovative organization: focus on the quality of services. Who are our customers and what are their needs? Effective processes of change. Case studies of good practices."